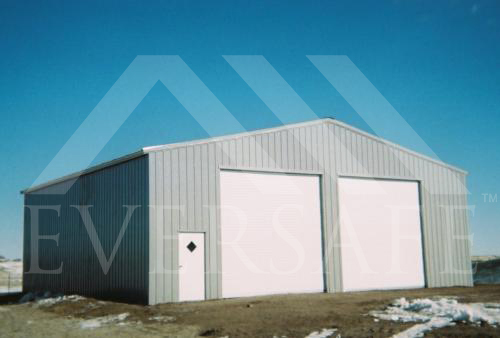 Eversafe Buildings has years of experience supplying large industrial, agricultural and commercial metal buildings. 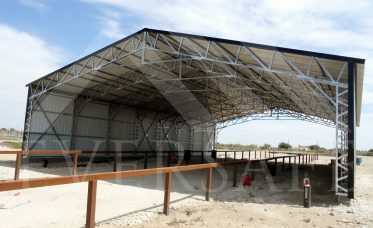 Our custom LARGE SPAN trusses are engineer certified and reinforced with steel roof purlins and vertical wall sheeting. They are fully engineered to meet or exceed virtually any wind and snow load to pass your local building codes. 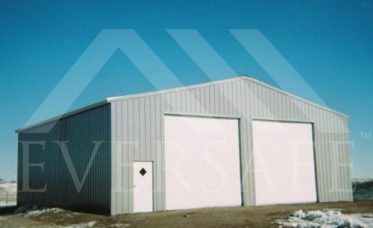 Eversafe LARGE SPAN buildings can be custom designed for any application and include many standard features not included with buildings from other companies. Attention to detail and quality with every installation makes Eversafe’s commercial metal buildings your best choice over any other. 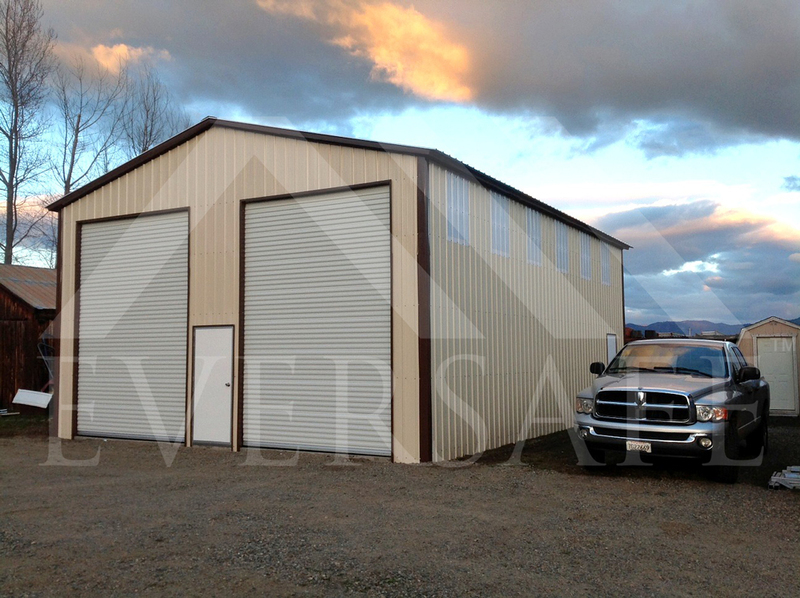 Eversafe’s large metal warehouse buildings are designed to meet your exact size specifications with a large range of door configurations to choose from. One or more rollup doors can be added to sidewalls and end walls and walk doors can be placed where you need them. 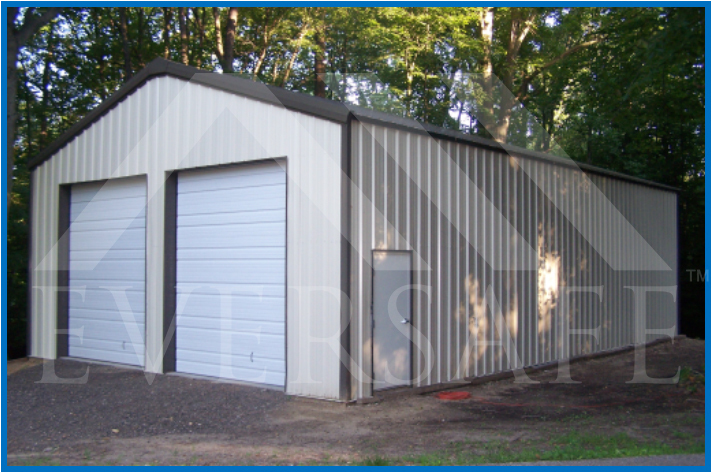 We supply structures that have open wall conditions such as storage buildings with one or both end walls open eliminating the need for garage doors. 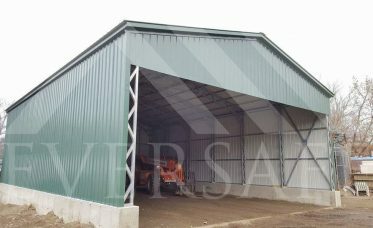 Another common configuration is to have an enclosed metal storage building with a lean-to that has an open side for easy vehicle access. 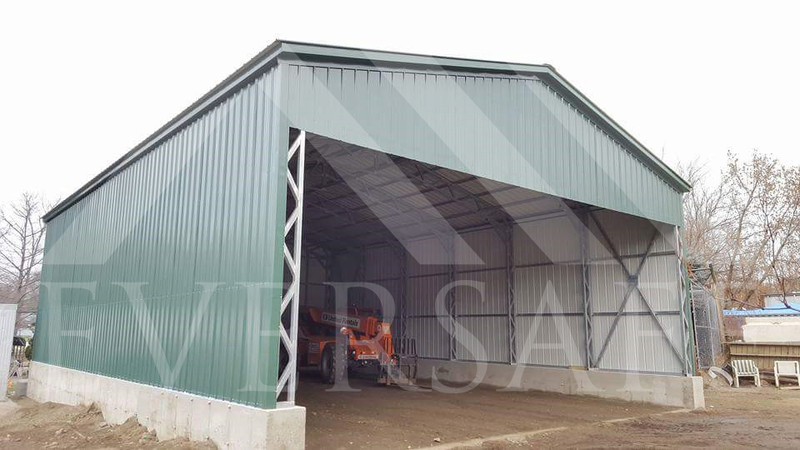 Large metal garages and workshop buildings are the most popular of our customer’s applications for Eversafe large span buildings. 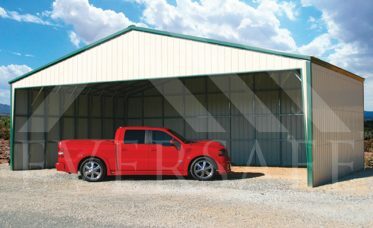 Our large span design allows for several garage doors and walk doors to be placed on the walls. Eversafe’s clear span design which has no interior support posts to get in the way lets you have a lot more flexibility in the design of your floor plan. As always you have your choice of a variety of colors for the walls, roof and trim. 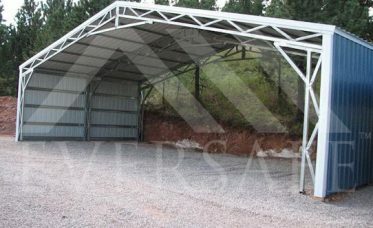 Eversafe Buildings can install any size structure you need. Select from our many standard styles or we can build based on your own custom design. We can handle any industrial application from small utility buildings used to cover wells and generators to huge recycling centers, warehouses and manufacturing facilities. 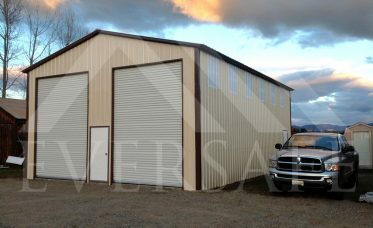 Our buildings are all steel and use durable finishes and coatings so that your building looks great for years to come. 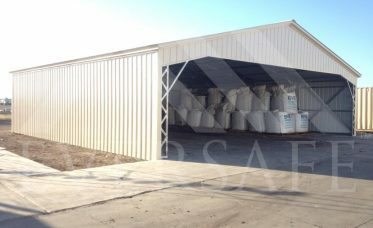 Eversafe’s wide span industrial buildings are commonly used for welding shops; sawmill operations, refineries and trucking terminals. Whatever your application is, we will supply and construct your building in the shortest time possible. 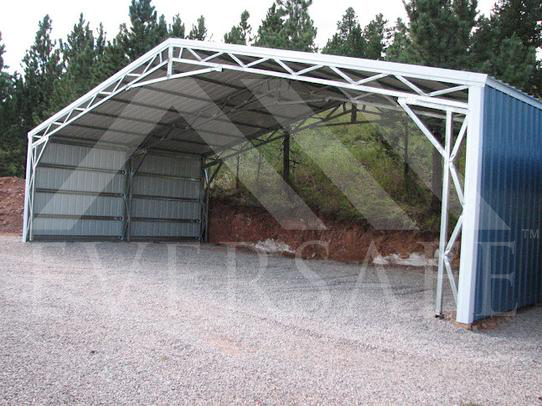 Eversafe Buildings supplies top quality large span metal buildings that can be used for a multitude of applications requiring wide spans. 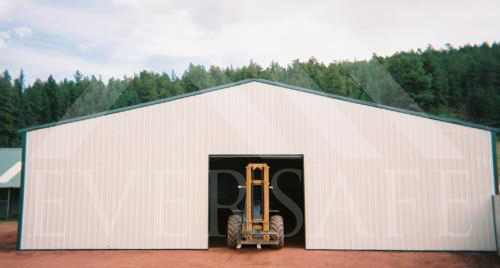 Whether you need a storage building, a large agricultural building, a building for manufacturing, a warehouse building, or any type of commercial structure, we have you covered. 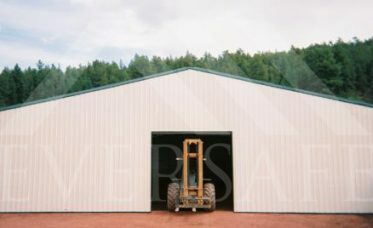 Eversafe’s commercial large span buildings are available nationwide from 32′ to 120′ wide at the most competitive prices. Our buildings are manufactured using only the latest technology, and state-of-the-art machinery under strict quality control procedures. We deliver and install every building with pride, using qualified factory trained and certified erectors for the best workmanship. All Eversafe frames are galvanized for superior protection against corrosion. 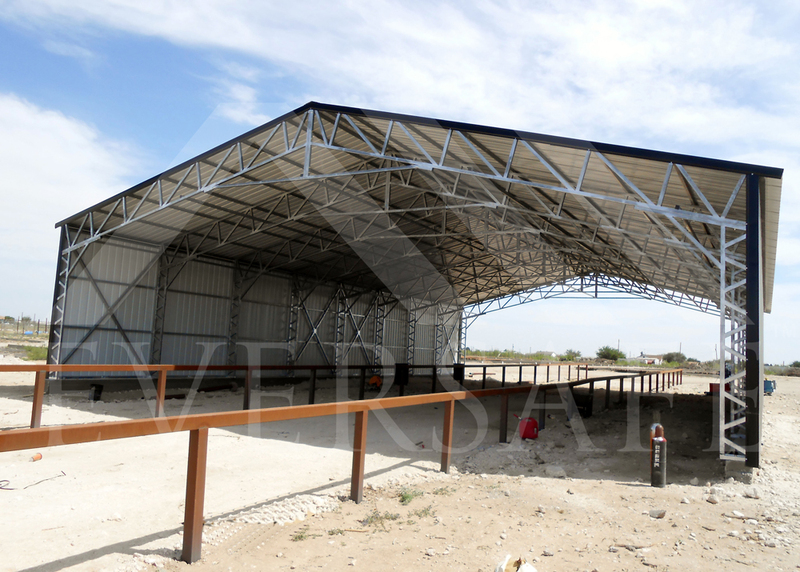 Our steel structures are engineer certified and are designed to meet any building code. Quality, durability, strength and honesty are what makes Eversafe the best choice for all your building needs. Our commitment to product quality, excellence in customer service, and giving our customers the best prices is second to none. Our customer’s satisfaction is our number one priority and we stand by our products with a 100% satisfaction guarantee. 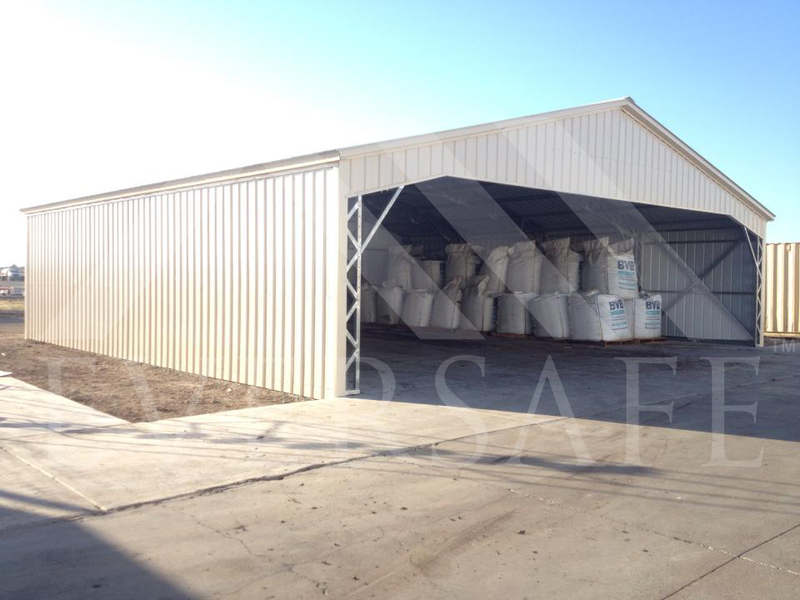 Eversafe Buildings offers top quality steel buildings at low, competitive prices. We offer FREE DELIVERY and FREE INSTALLATION with every building we sell. You will not find a building as high in quality at a lower price anywhere else. We back this up with our price match guarantee. 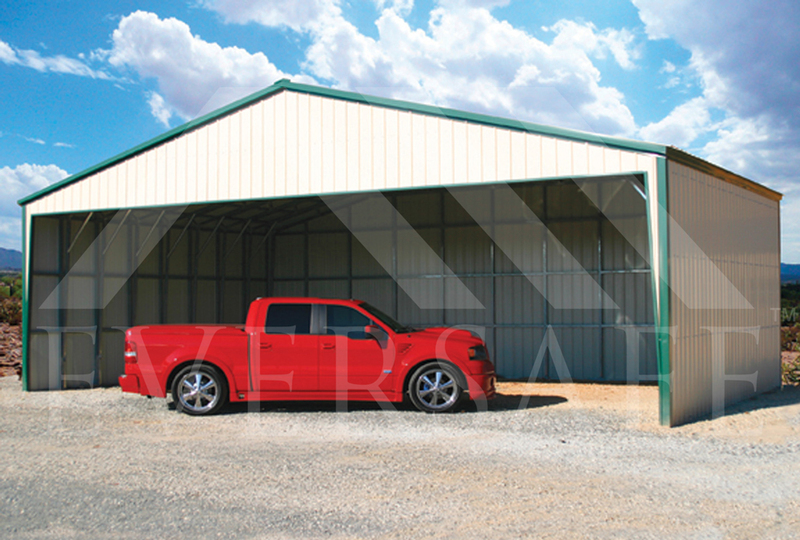 Our clear span metal buildings are designed to give you the freedom you need to design the interior of your building any way you like. Whatever your large span commercial building needs are, Eversafe has you covered. 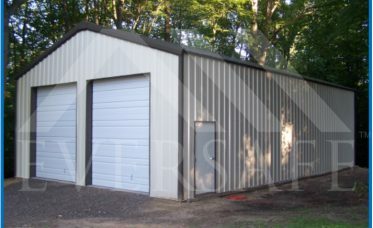 Call us today at 1-800-374-7106 to speak with one of our metal building specialists for the best prices and to have all of your questions answered about your steel building needs. **Pictures shown are examples only and may vary from actual building supplied. Building design and pricing may vary slightly depending on region.